Refusing Sunday shifts – should employees shoulder the cost? Your employees have the right to refuse Sunday work but are you obliged to reschedule their shifts? HRM investigates. Employees have the statutory right to refuse work on a Sunday – but are you obliged to reschedule their shifts to save them losing hours? A recent decision by the Ontario Labour Relations Board suggests it’s actually the employees who have to shoulder the cost. 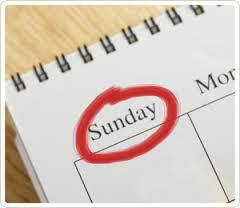 “Employees do have a general right to refuse work on Sunday,” clarifies labour lawyer Daniel Pugen, “but that does not necessarily mean that an employer has to take steps to ensure an employee’s preferred outcome. So, if your employee doesn’t want to work Sundays but wants the same amount of hours – it’s entirely at your discretion. A recent case, between employee Gregory Farinha and grocery store Highland Farms Inc, demonstrates employer obligation in this exact scenario. After having his regular schedule changed, Farinha chose to exercise his statutory right to refuse work on a Sunday – despite having worked Sundays for a number of years. The employer accommodated Farinha’s request – as required by law – but Farinha then insisted he should be offered extra work during the week to save him from financial loss that would come as a result of dropping hours on the weekend. The Ontario Labour Relations Board found that Farinha’s request was simply an attempt for the employee to create a preferred shift schedule, without loss of pay. Previously, Farinha hadn’t objected to working six-hour shifts every other Sunday but when the length of those shifts were set to increase by a couple of hours, while his overall weekly hours remained the same, he decided to opt out. The board ruled that Highland Farms Inc. was not legally obligated to alter Farinha’s new shift pattern as his refusal to work Sundays came after the employer implemented the new rota. “When an employee exercises a statutory right, an employer should proceed with caution and ensure that the employee is not penalized or disadvantaged,” warns Pugen.